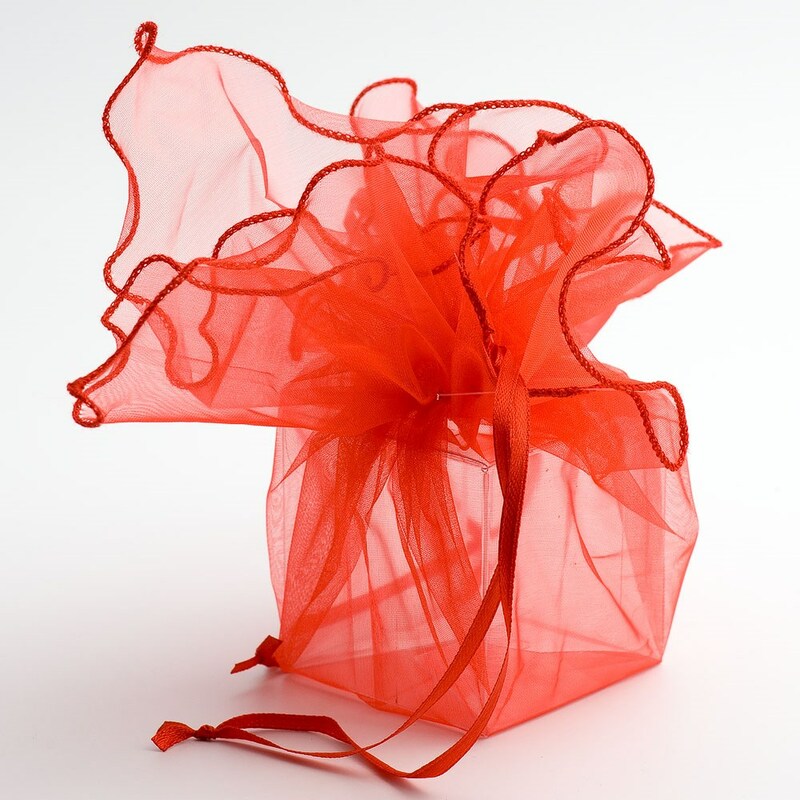 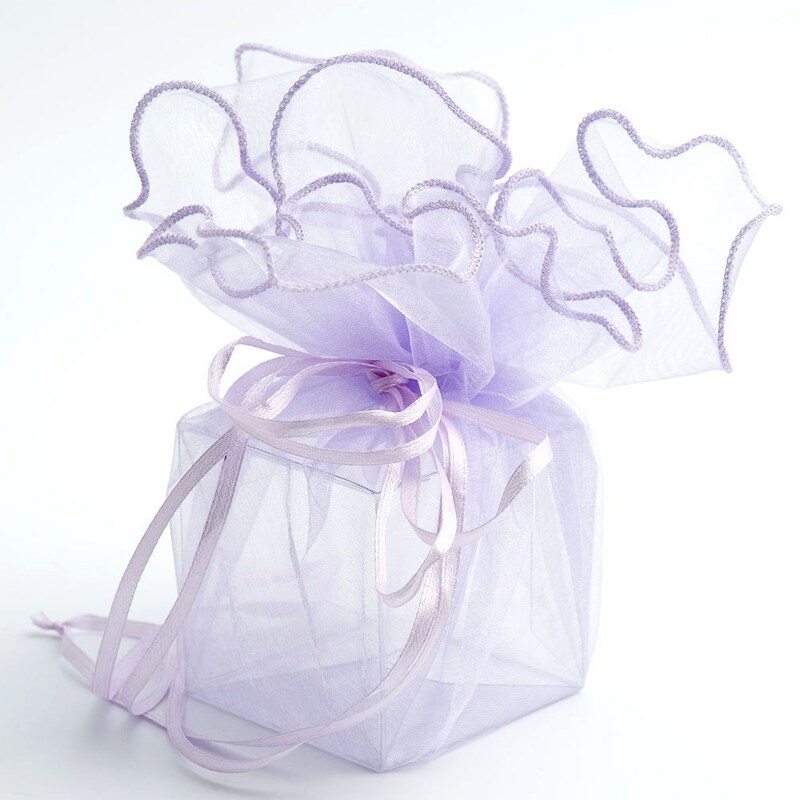 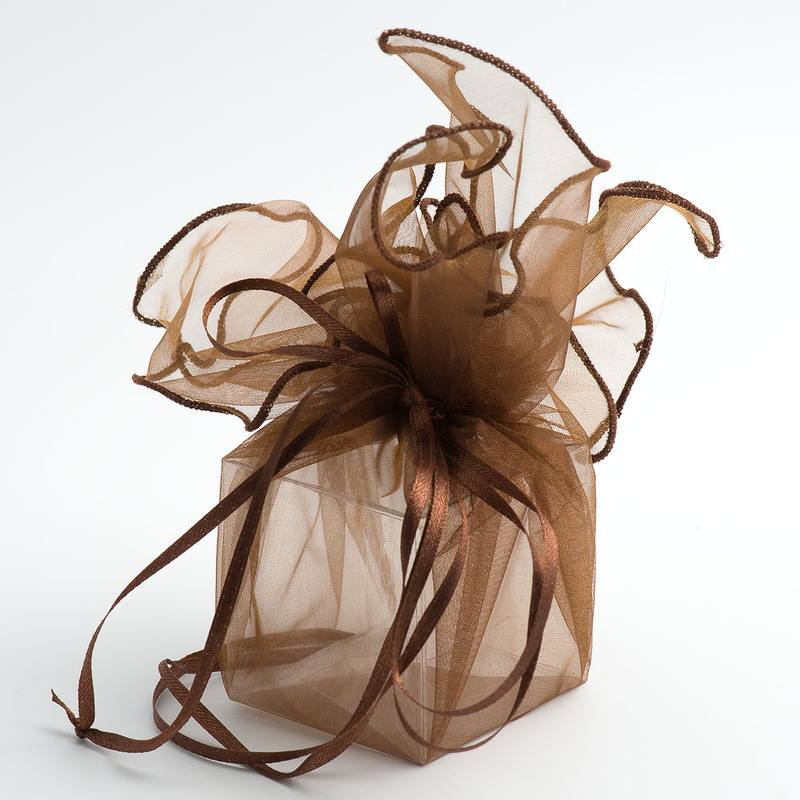 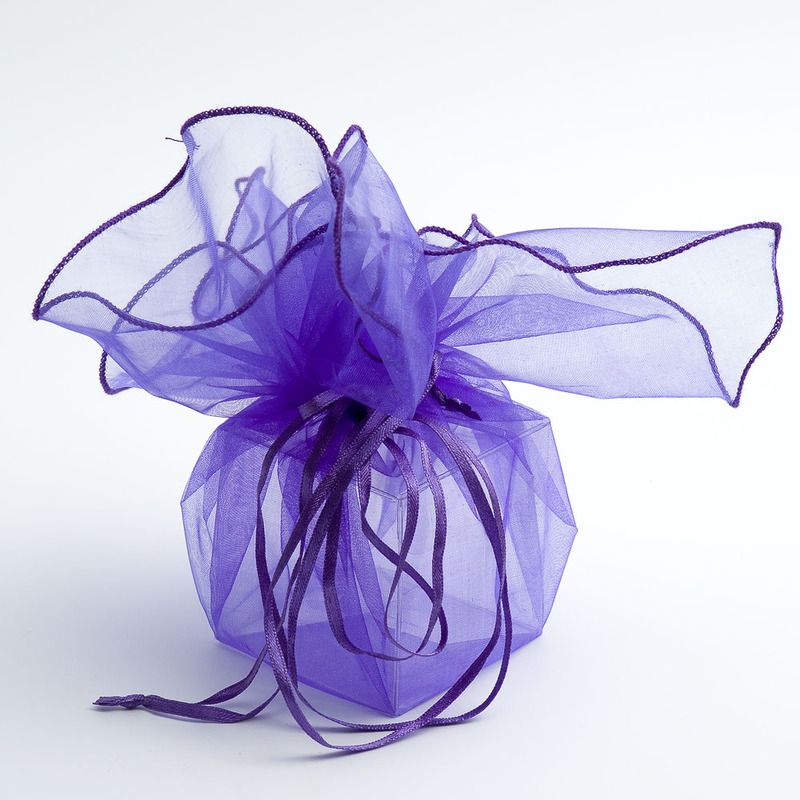 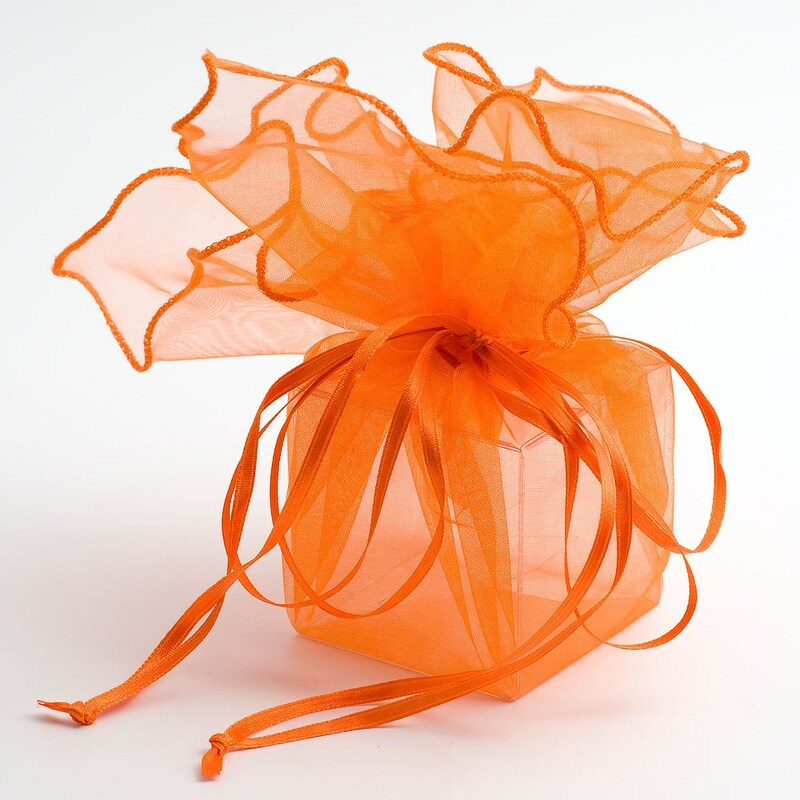 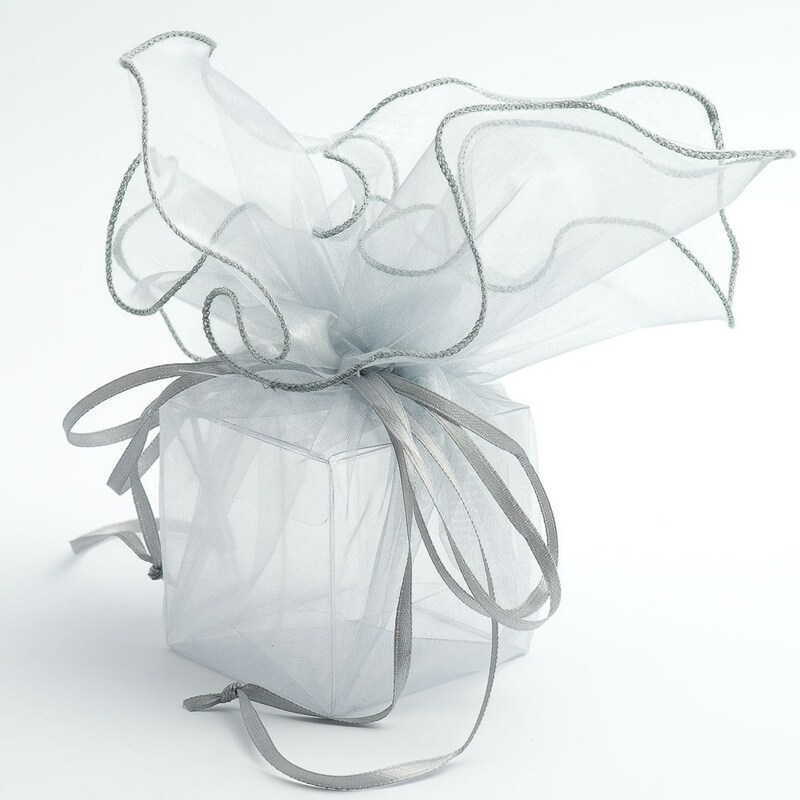 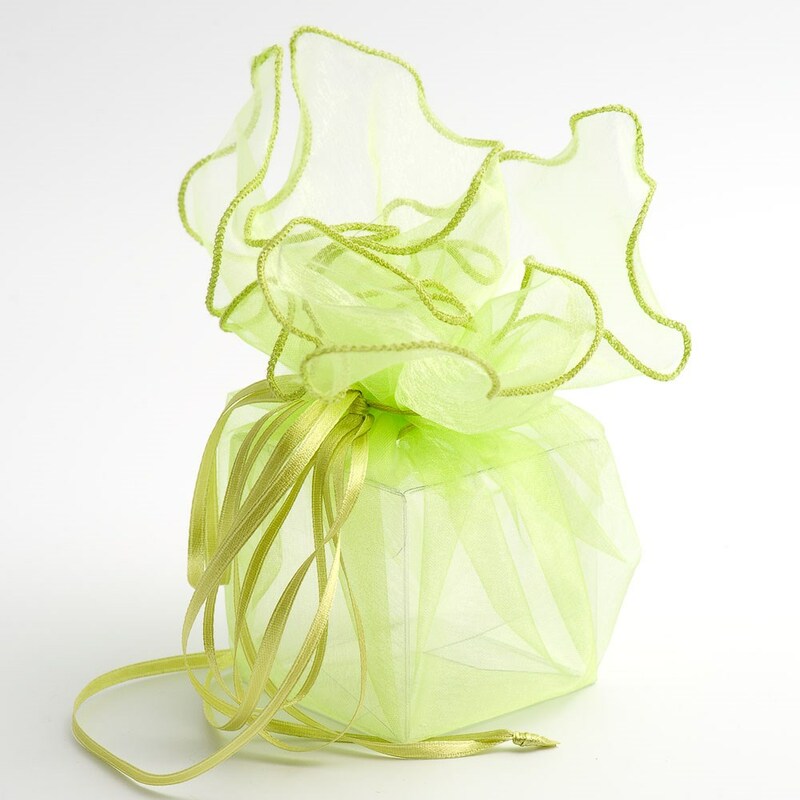 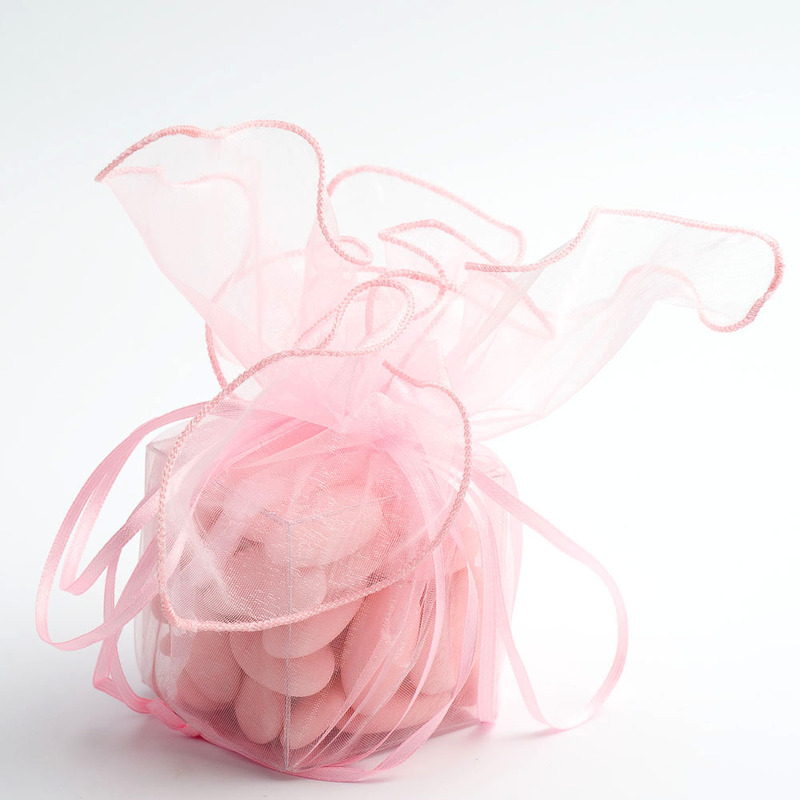 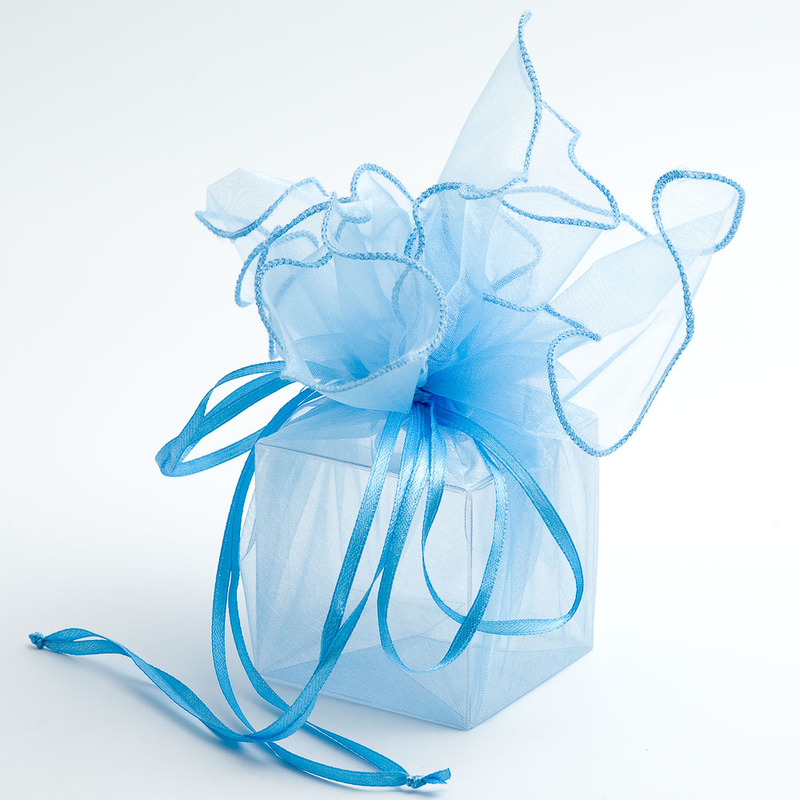 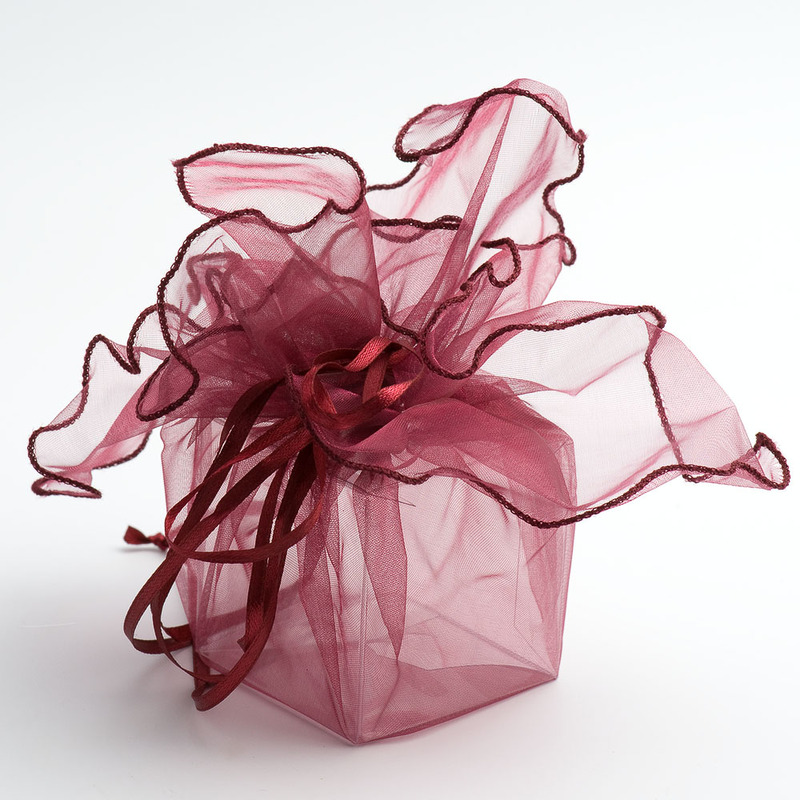 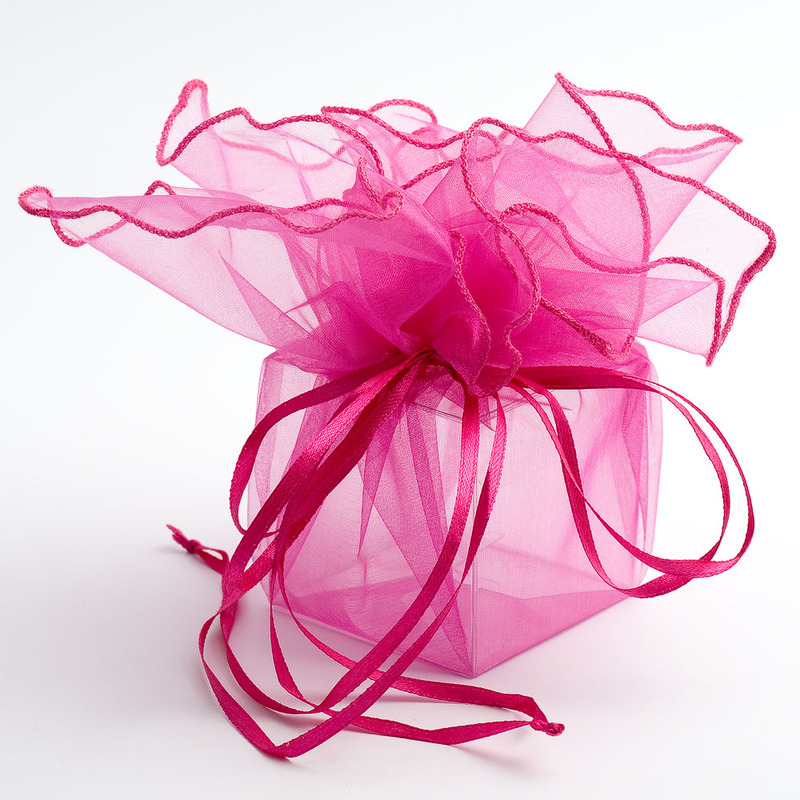 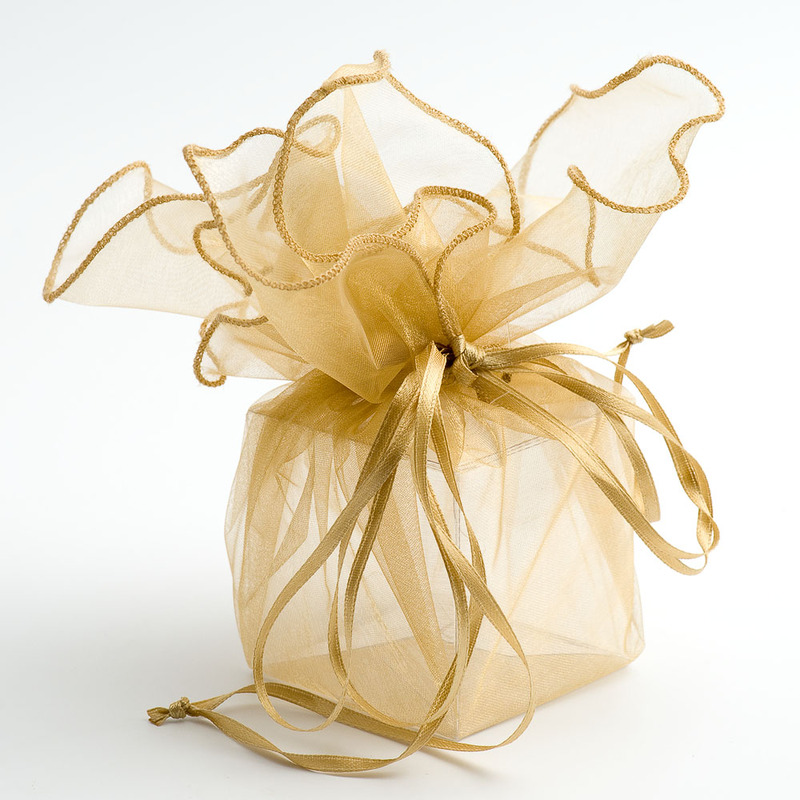 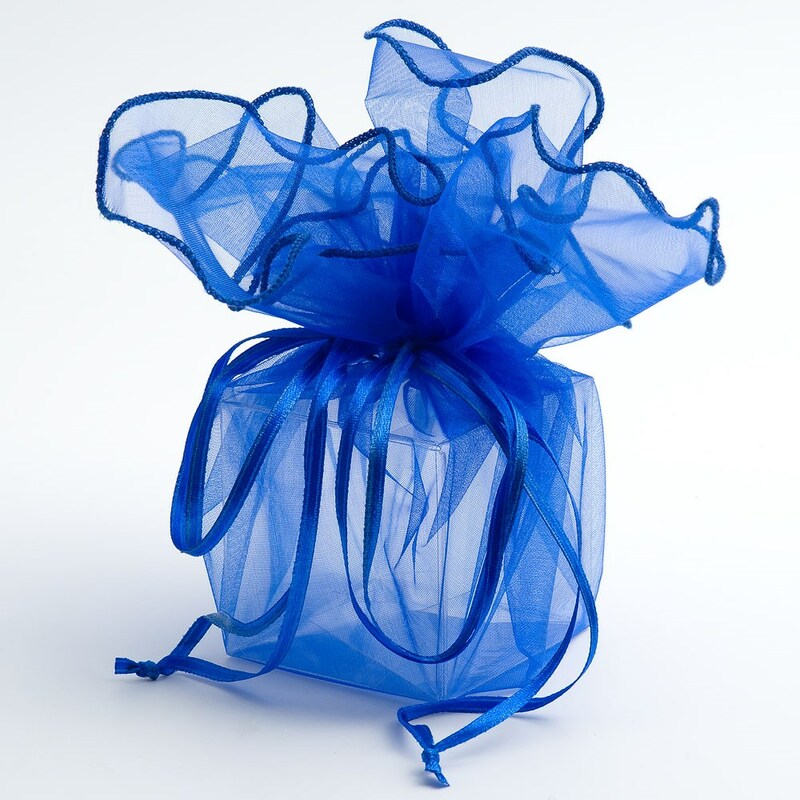 Our Drawstring Wedding Favour Wraps are a great way of wrapping larger amounts of confectionery or a small gifts. 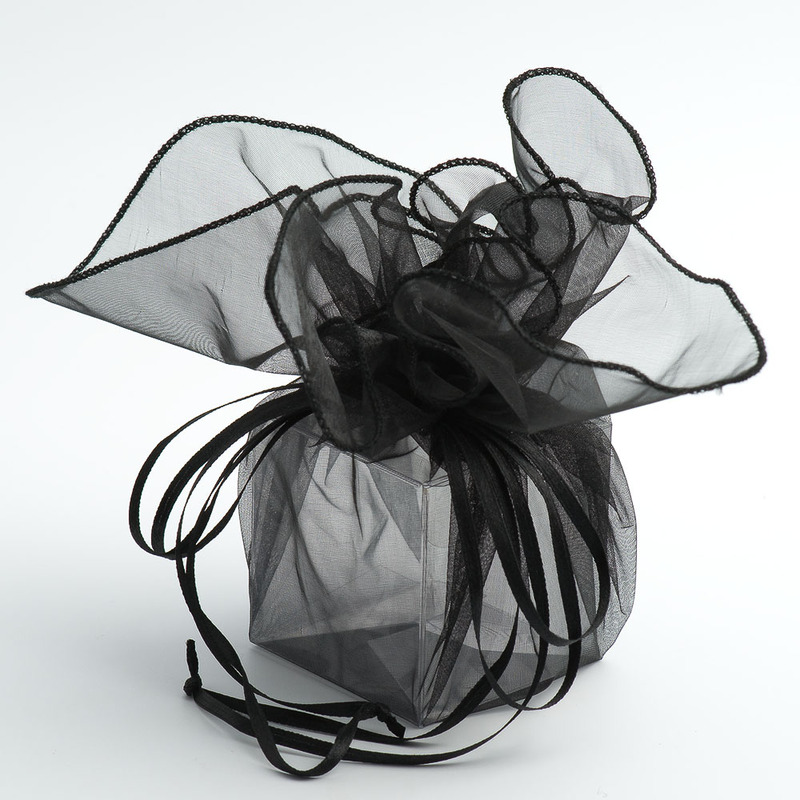 The 35cm square organza bag simply draws up to make a large pouch. 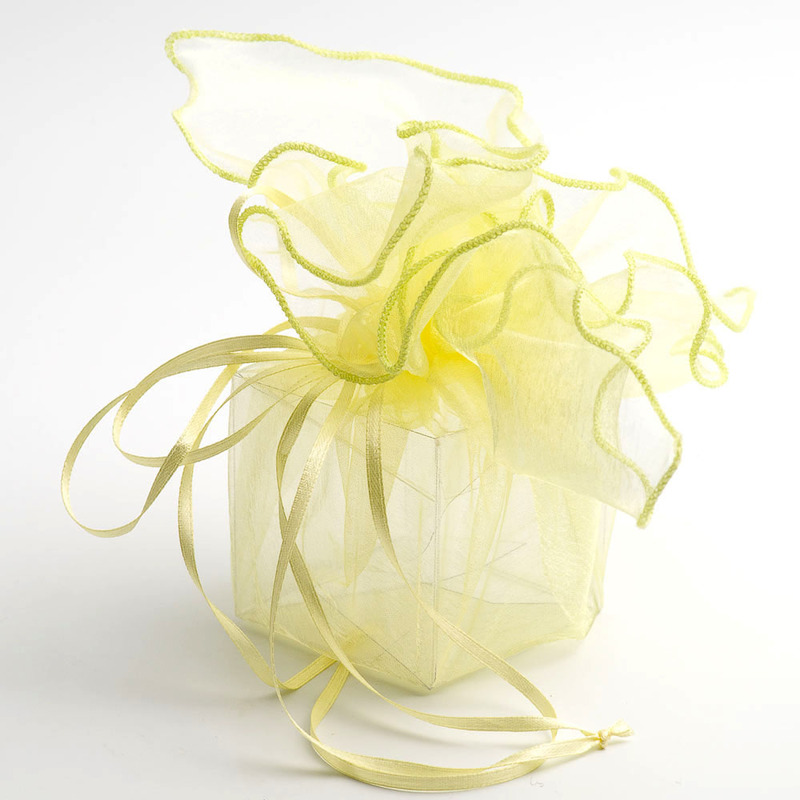 Our clear wedding favour boxes (60mm x 60mm) fit inside perfectly. 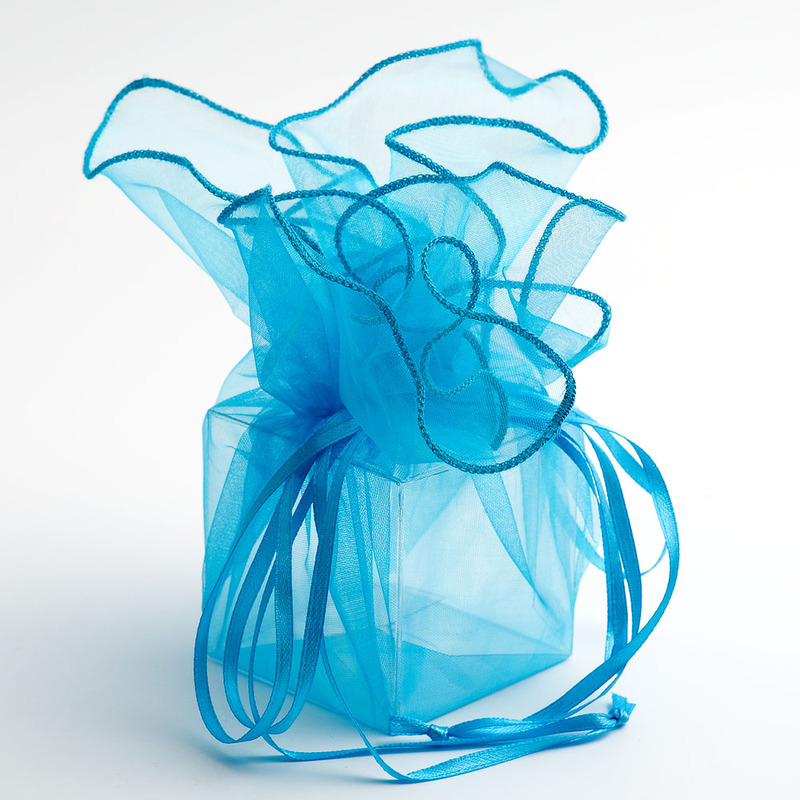 Size 35cm square before drawing together.